This year has gone so fast! Between my new job, the boyfriends new job, all the travel and moving into our first house, I've hardly had any time to cook or bake this year. Now that we have all settled into our new routines, expect WITK to get back to normal in 2015. Until then, here are the five most popular recipes from 2014! 5. 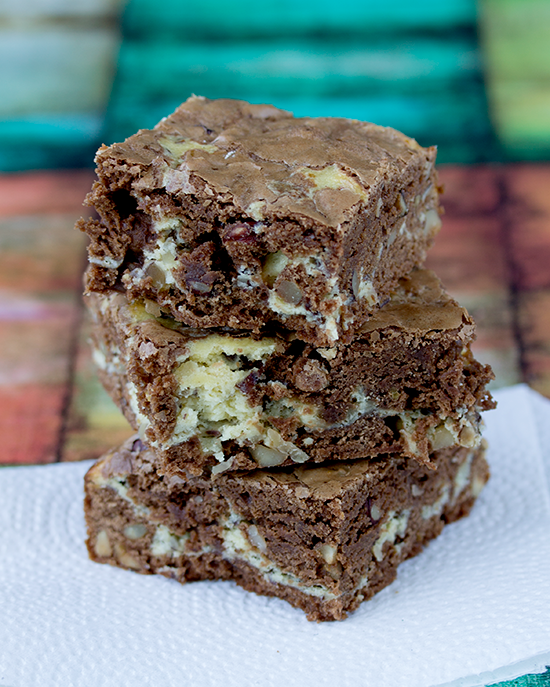 Hazelnut Cream Cheese Brownies - I was not surprised at all that you guys loved these brownies. They were amazing! Make these for your friends, family, coworkers, everyone. 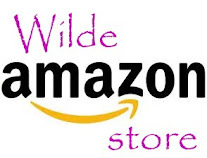 They will love you. 4. Watermelon Mallow Cookies - Since I'm obsessed with marshmallows, I made a number of different recipes this year. 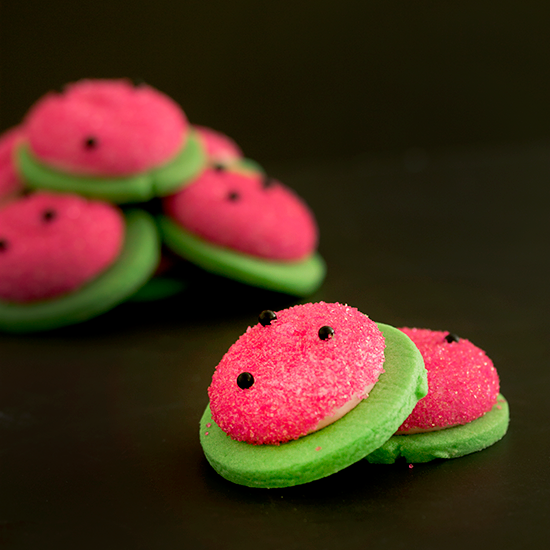 These watermelon cookies were a hit at the office. The flavor came from a watermelon candy oil, rather than trying to concentrate watermelon flavor from a juice. Candy oil is definitely an easy way to add intense flavor, it just doesn't taste natural at all! 3. Peanut Butter Chocolate Chip Ice Cream Bars - As a part of Perry's Ice Cream - Inside Scoopers group, I am lucky enough to receive a package of new ice cream flavors each year. Perry's is a brand that is local to my hometown, Buffalo, NY. 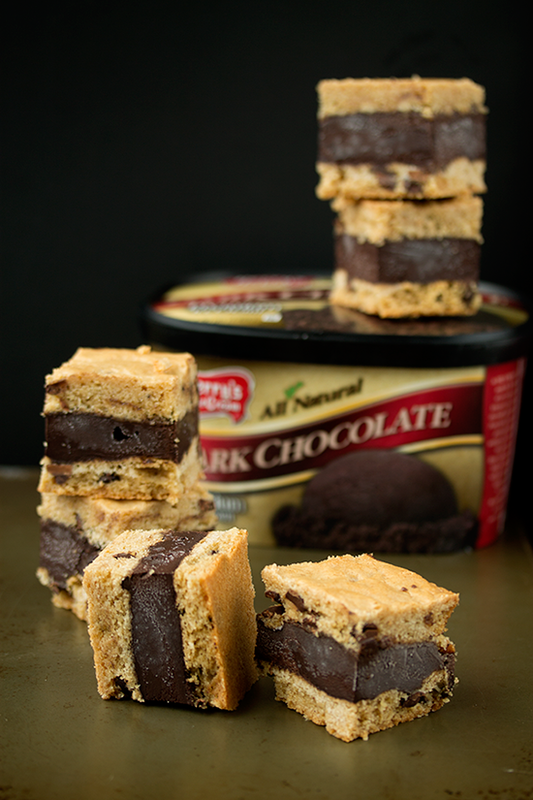 Their all natural dark chocolate was the star of these ice cream sandwiches! 2. 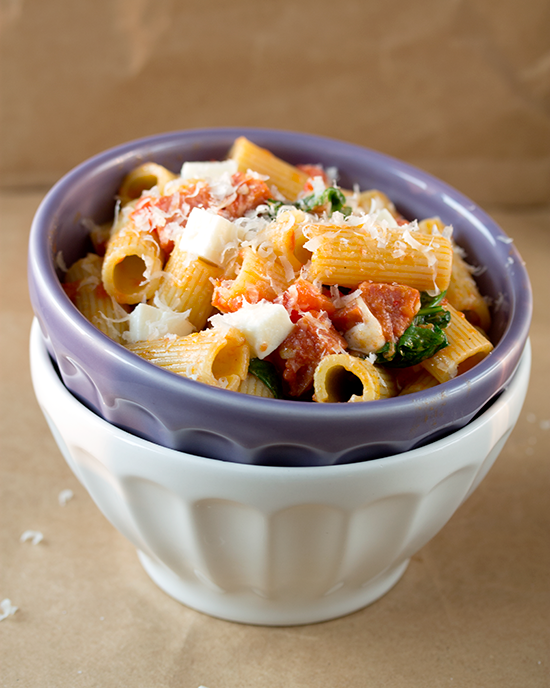 Rigatoni with Pepperoni, Mozzarella and Arugula - From my Cook the Books 2014 challenge, this dinner was quick, easy and delicious. I've made this multiple times this year! 1. 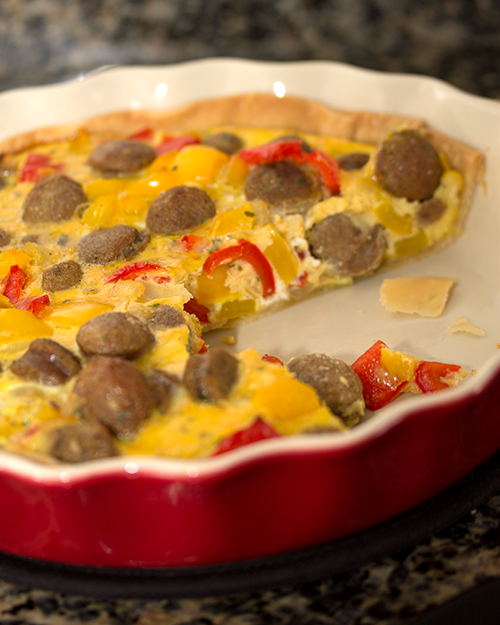 Quiche with Sweet Peppers and Sausage - Also from my Cook the Books 2014 challenge, this quiche was an amazing dinner! I think I made a lot of quiches this year because all you need are some eggs and a pie crust! I recommend keeping both of those things in your fridge, just in case! Looking back at my recipes for this year, I'm so disappointed in myself! I didn't make any candies, only cooked a few dinners and totally slacked off for many weeks at a time. I have big plans for next year and want to get myself back on trip. Bring the fun back to WITK! Swing by on New Years day for Challenge 2015!